Your wedding day is the day when you’re supposed to look and feel like a princess. But we all know princesses aren’t perfect and they have bodily functions just like any other non-royal. One of those functions is sweating. 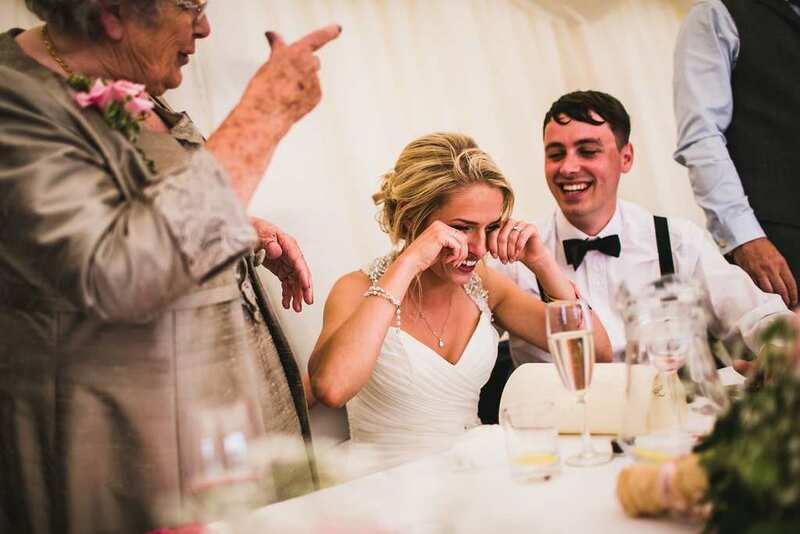 Whether your wedding takes place on a hot summer day or on a chilly winter night, sweating or crying at some point is unavoidable. Between the nerves, the layers of lace, and the heeps of makeup, overheating is very likely. Understandably, no bride wants to look like a girl who just finished a spinning class and threw on a white fluffy dress. Here are four great ways to keep cool on your special day and avoid looking like a hot mess. The best way to beat the heat is to run away from it. 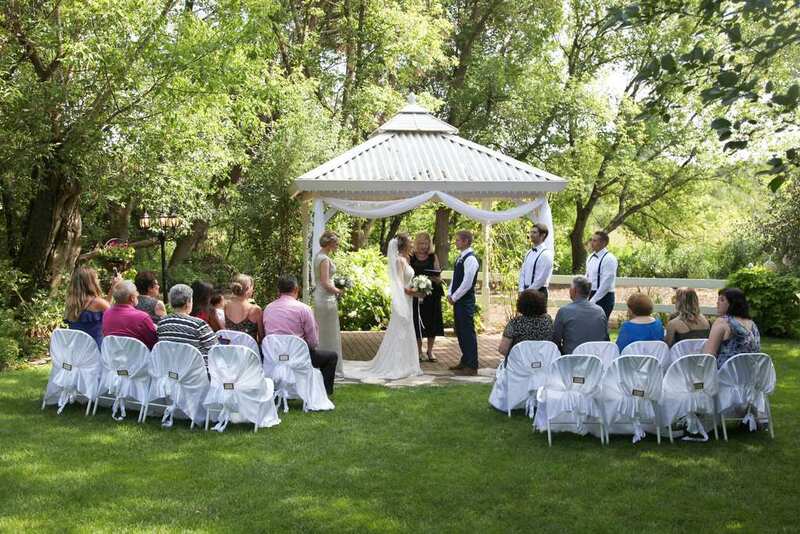 Avoid exchanging vows during sunny hours (between 11 a.m. and 2 p.m.) If this is impossible, hold the ceremony under trees or a vine-covered pergola and make sure to also provide your guests with shade while you’re at it. When it comes to your dress, opt for an airy silhouette that will allow pleasant circulating. Get advice from your stylist about the best fabrics to keep cool in a hot-weather wedding. V-shaped backs and sleeveless silhouettes can help keep it breezy. If you’re leaning towards a modest look, go for breathable illusion fabric to avoid dripping in perspiration. Wearing some type of antiperspirant will not only help absorb unwanted sweat, but it will also help you avoid smelling like a fried onion. You can apply deodorant on other parts of your body as well, for example, between your legs, on your back, and even feet and chest. We all know how painful it is to lose a gorgeous makeup look to crying sessions and scorching rays of sun beating down on your face. The more makeup you wear, the more likely you are to experience smudging once the sweat kicks in. Opt for powder-based products instead of liquids to help keep the shining to a minimum. You can also use a setting spray to protect your makeup from inevitable heat and humidity. Another important tip is to keep blotting papers handy so you can de-shine before your photo sesh.